The content of this blog is outdated. Please refer to our other blogs or resources on related topics. Or contact us via our online chat if you have any questions. Setting up environments, starting processes, and monitoring these processes on multiple machines can be time consuming and error prone - stale settings from previous test runs, wrong configurations, wrong commands, package conflicts, etc.. quite a few things can go wrong. If you are using Galera Cluster, you would probably want application developers to have a proper development environment on their local computers. Proper here means testing your code on a local Galera Cluster, not on a single instance MySQL. Galera Cluster differs from a single instance MySQL, so this allows you to catch these differences early in the project. But how can you quickly roll out a mini test clusters to your application developers, without having them waste time setting these up? 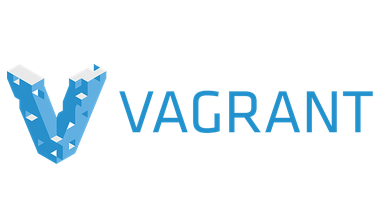 This is where Vagrant comes in. Add the cluster to ClusterControl. Ensure that you have Vagrant and VirtualBox installed. We are not going to cover the installation of these in this blog post. Make sure you keep the box names s9s-cc and s9s-galera, otherwise you’ll need to change the corresponding values in the Vagrantfile. At this point, our Galera cluster should be up and running. You should be able to access each MySQL server on its respective IP address and port. The default MySQL root password is root123 while the ‘cmon’ password is cmon. Once Galera Cluster is running, add it to ClusterControl. Open a web browser and point it to http://localhost:8080/clustercontrol. Create a default admin user with a valid email address and password, and click ‘Register & Create User’.